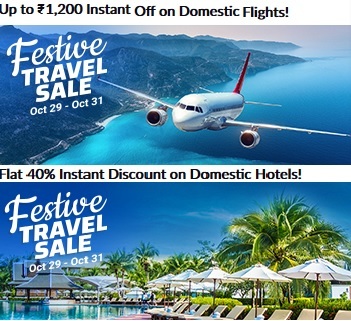 (Checked on 22 Apr, 2019) Get flat 25% off, upto Rs.5000 on domestic hotel bookings for SBI user from Makemytrip.com. Apply code during checkout in the code section. (Checked on 22 Apr, 2019) Get up to Rs.800 cash back on domestic flight bookings from Makemytrip.com. Apply code during checkout in the code section. Minimum booking value is rs.3500. Cashback will be credited to your MMT Wallet.Book Now!!!! At CouponDekho, we will help you discover every SBI credit card offers and promo codes with ease. 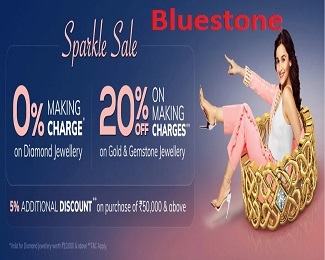 These offers are launched especially for SBI credit card and bank account clients. SBI Bank, as we all know, is one of the main Banks in India offering numerous services for their clients and one of those is bringing the best of offer that can be utilized for online shopping. These offers are solely for the SBI Bank Customers; thus, the payment must be made online using SBI Netbanking or SBI Credit Card. 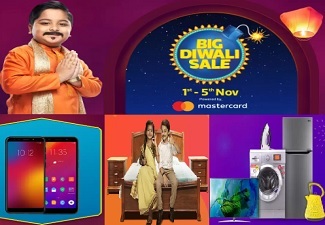 SBI has tie ups with numerous well known online merchants and online shopping destinations such as Amazon, Snapdeal, Flipkart, Jabong, Ebay, Infibeam, Dominos, Fabfurnish, Freecultr, Zivame, Firstcry, Babyoye, and many other that fall under Lifestyle Online Retailers and MakeMyTrip, Yatra, Goibibo, Expedia, and many other that fall under Online Travel Retailer. 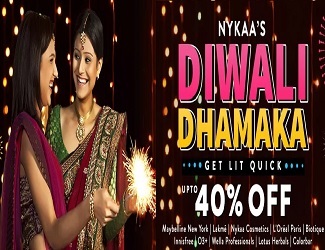 With a strong hold on the online market, the bank offers you some assistance by including discount offers on such websites and we present those offers at our site for your ease of use. You get the best SBI Netbanking offers, credit card offers and debit card offers and other discounts when you shop online using any one of the SBI card. SBI Bank offers are given to the clients on the purchase of items with Debit or Credit Card. The offers given by the bank are legitimate and valid for a limited timeframe. This means you need to stay updated and visit CouponDekho each day to be a step ahead of other buyers if you want to avail great offers and discount deals. You can conveniently use the SBI cards or Net banking payment service to avail these discounts and enjoy added savings. State Bank of India offers discount while shopping online through major retail stores. It brings select offers for Visa cards clients, Mastercard clients and net banking clients. You can utilize the SBI Debit card offers with your SBI platinum cards to save some cash while you shop online. How to gain benefits online when using SBI Bank cards? The discounts are made accessible to the clients through the reward points or promo codes. The offer is given by the SBI bank to encourage clients to use the online mode of shopping for range of products from electronics to apparel, travel, lifestyle, gadgets, appliances and so forth. SBI promo codes make it easy to buy items that you need at a price lesser than the standard rate. If you have a good record with this bank then you can enjoy reward points and utilize them for future purchases, thus winning further discounts. Everybody needs to be a decent purchaser. A decent purchaser is one who buys genuinely. It means he or she purchases the best quality item at most sensible rates. This has been made possible through SBI credit card offers. As mentioned, all the significant players in the Indian e-commerce domain are connected with SBI Bank and you can discover a range of SBI discount offers and discount deals at CouponDekho. You can benefit tremendously by visiting CuponDekho each day to look at offers launched by SBI Bank. There is no other way to enjoy extra savings and get items of your choice online. Shop at online stores using SBI Netbanking, SBI credit card or SBI debit card and turn your shopping into a money-saving wagon. Apply the promo code when completing the payment of the order and enjoy the SBI advantage.